John Cort, Professor of Asian and comparative religions, travels regularly to India to bring current global perspectives back to his classroom. Summertime always gives us a good break from the semester’s schedule of classes, exams, and papers — both for students and professors — but that doesn’t mean it’s downtime for anyone. Summer for most faculty and many students means digging in on research in their disciplines, whether it’s working with summer scholars on campus, traveling to learn and exchange information, or focusing on reading and writing to keep up with their fields of expertise. For John Cort, Professor of Asian and comparative religions, India has been his summer and sabbatical destination for decades, conducting research as an eminent scholar of the Jain tradition of South Asia as well as the society, culture, and history of western India. He returned to New Delhi and Mumbai for June and July of 2018 to continue a range of engagements, and from there traveled to Warsaw, Poland for the 13th annual conference on Early Modern Literatures of North India. The Association for Asian Studies is the primary organization for scholars of Asia in North America, and this summer their conference was held for the first time in South Asia, in New Delhi. Together with a professor of anthropology at Adelphi University, Cort presented a session that looked at different aspects of the culture, society, and politics of Gujarat in western India, and asked scholars to consider ways that cultural geography in India often does not match with the on-the-ground contemporary political borders. The discussions were lively, and the conference as a whole brought connections that will inform future learning opportunities for the Denison community. Cort speaking about his research on Jainism at Jnanapravaha in July 2018. 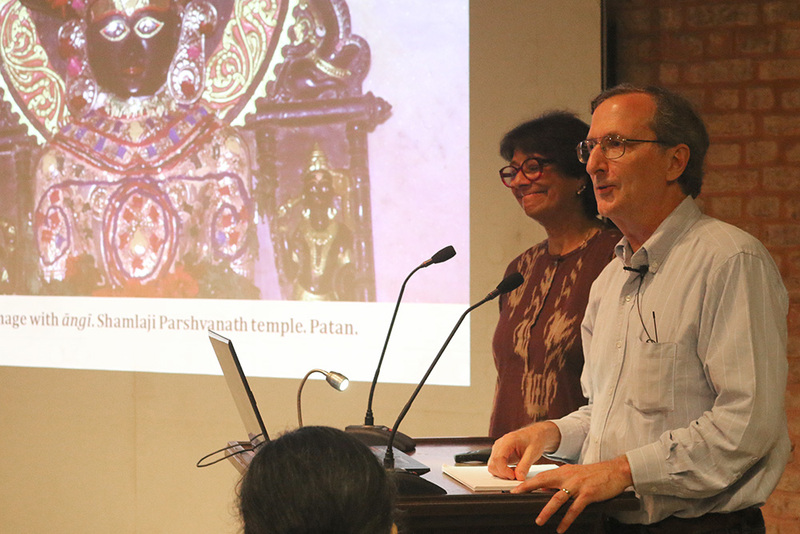 In Mumbai, Cort presented a public lecture at Jnanapravaha, a private educational institution that “aims to provide a neutral yet stimulating space for the global exchange of creative Indian thought.” Cort spoke about his research on the temples, icons and rituals of the ancient Indian religion of Jainism. While he was in Mumbai, he also connected with two of his former students from Denison, Nitya Daryanani ’14 (anthropology-sociology and international studies) and Gauri Bhure ’04 (international studies and English literature). 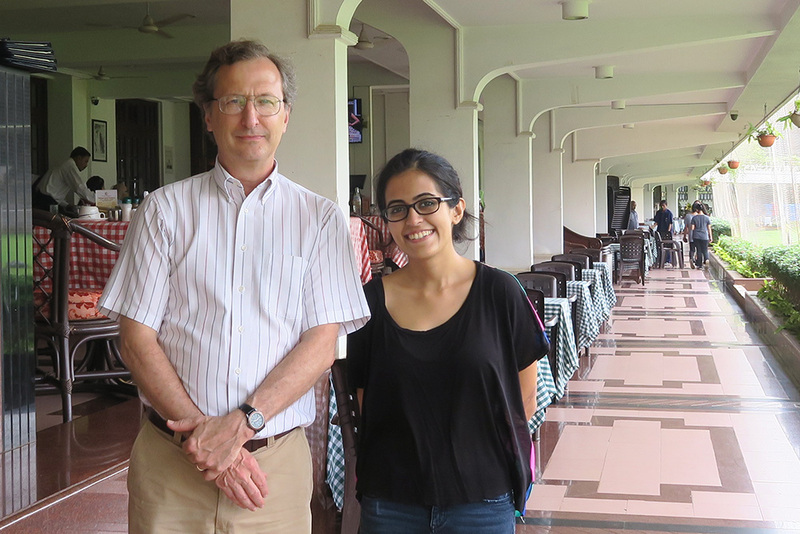 Nitya Daryanani ’14 catches up with her professor and mentor in Mumbai. Daryanani now works for Dasra, a Mumbai-based NGO that addresses issues of socially responsible development and poverty alleviation. 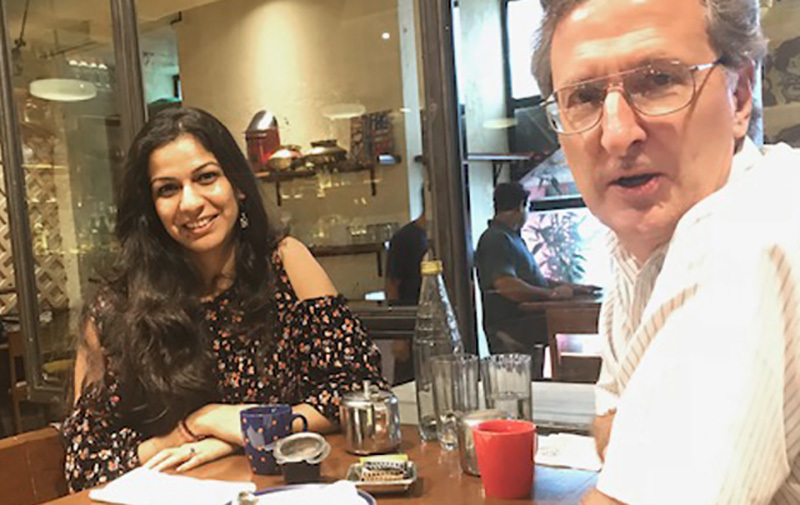 Also in Mumbai, Gauri Bhure ’04 brings Professor Cort up to speed on her work with the India Committee of United World Colleges.